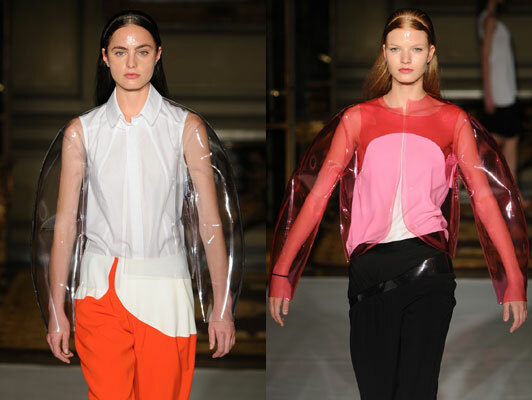 Paris Fashion Week just came out weeks after New York Fashion Week sizzles the Runway. 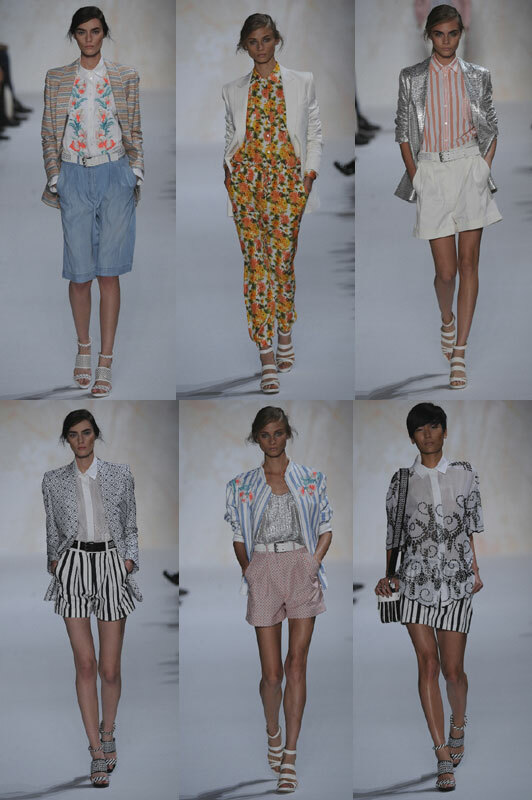 And since Paris is the Fashion Capital of the World, all of the collections are so Amazing. 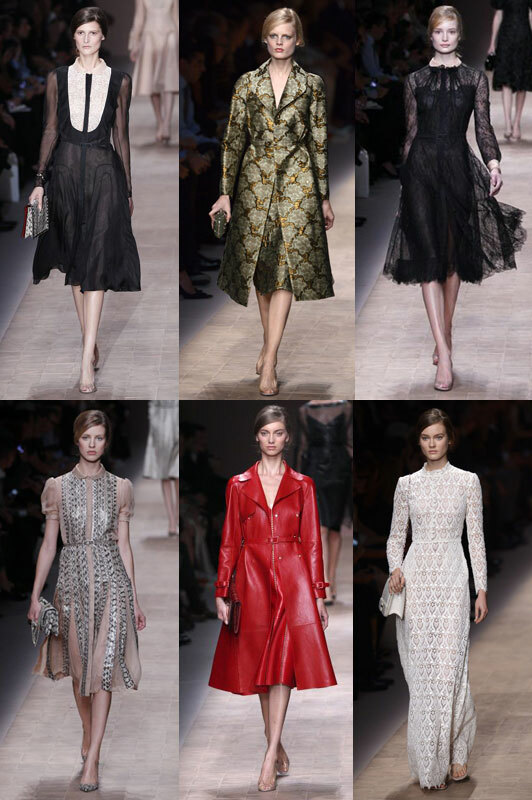 From Valentino to Elie Saab and Louis Vuitton, I just can’t get enough of the collections. Yves Saint Laurent, Oh my. The collection made me think of the all-girls band, The Black Belles and also of cowgirls and Gothic as well Vampires (not the twilight kind but the Dracula one. *. *) The wide brim hats are so cool (don’t you think so?) perfect for Gothic parties. 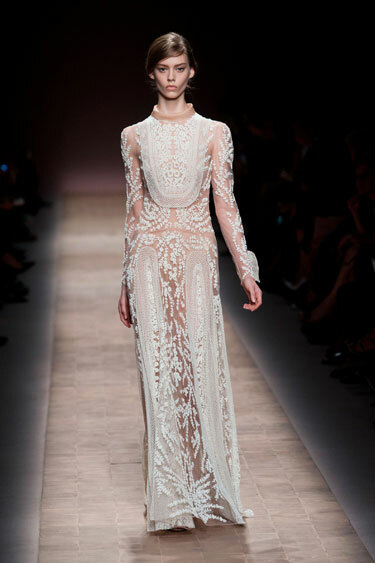 Valentino became my Favorite collection among Paris Fashion week collections. The palette and the materials are so oldies! Made me think of Russia and Anna Karenina. haha! This Lanvin mini dress is a modern take this spring. The shoulder pads and the color is so bare yet so stylish. This is good for evening events though, and I’m thinking of our Publication’s 40th Anniversary evening party! Isabel Marant’s red and black Venus cut short dress looks so comfy and ethnic. The sandals too, are amazing! As usual, Chloe’s on the soft side this spring. With their pastel palette and textured fabrics, the collection will highlight petite bodies as well as those long-legged women out there. 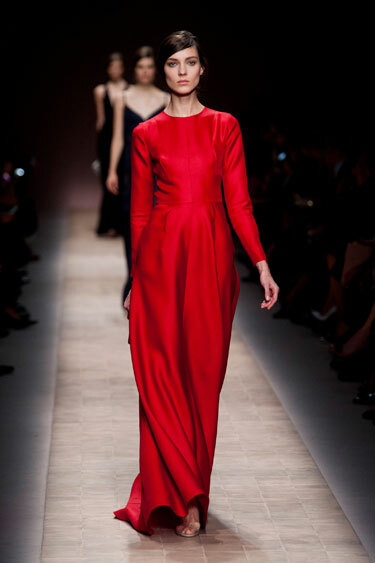 This Carven dress is so good as an office wear, paired with a blazer of any shade, you will surely be the boss. too bad I’m not not working. haha! Rainy Spring? worry not! Amaya Azuaga’s water proof blazer is here! even if your trusty umbrella can’t completely protect you from the rain, there’s still no more wet shirts because of this! 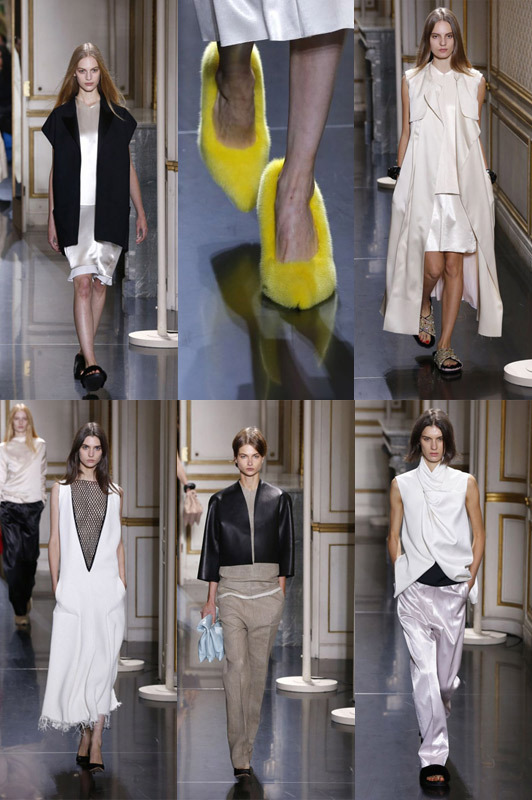 Enough of Celine’s furry shoes. 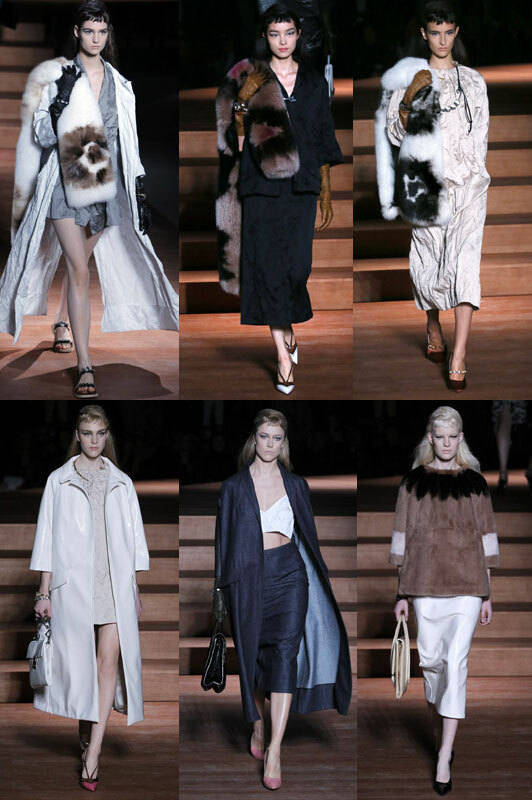 Let’s get to Miu Miu’s more furry collection. Aside from the super Short bangs, the fur scarf is an elegant addition to your wardrobe. Except, of course, if you’re a PETA advocate. 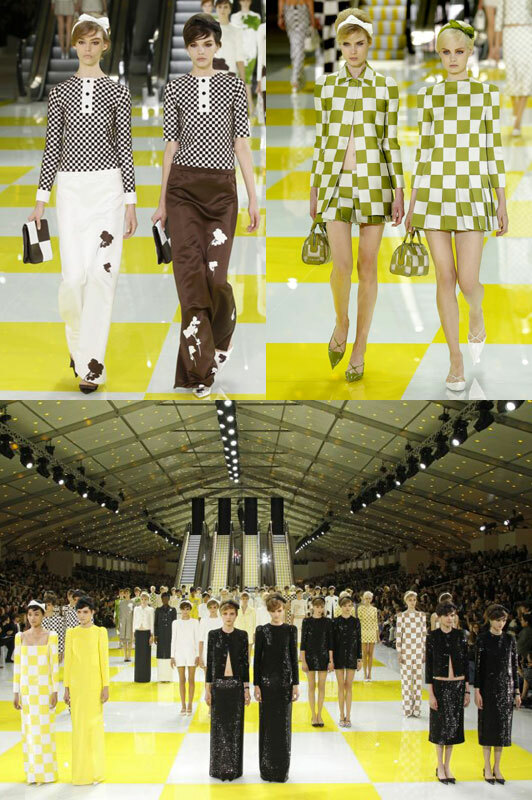 This year, though there’s no more Kate Moss on the Runway, Louis Vuitton’s runway show still never ceases to amaze me. 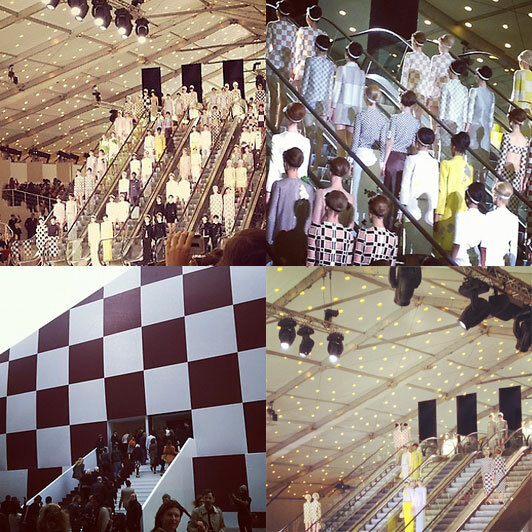 with all these patterned outfits, mirrors and escalators, the whole show is a blast! I love Leonard’s yellow and black palette. This made me think of Batman, haha. The monokini in the lower middle is my favorite! Hermes’ collection bragged what they’re famous for: Leather. Leather shorts, leather Jackets, Leather bags and shoes. 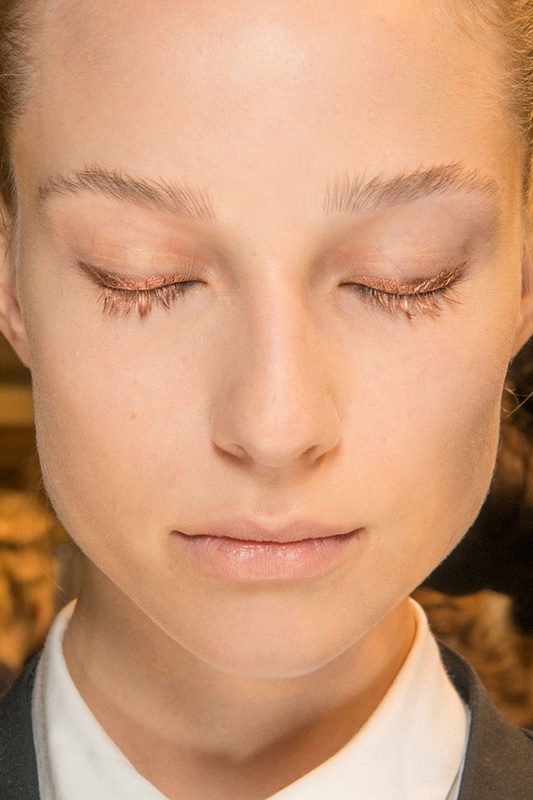 Aside from the outfits and styles above, I’ve also included in this blog post the list of hair and make up that I saw and I love in the Paris Fashion Week. 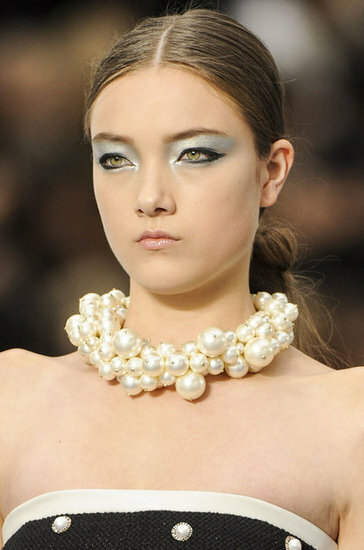 Chanel’s metallic eye shadow is so out of this world. I’m not a fan of white, gray or even silver eye shadows because they made my eyes blank. But I never did imagine that lining it with heavy black eyeliner would do the trick. Okay, aside from the yellow liner, what catches my attention is the paw necklace. It’s perfect for Aztec skirt and sheer blouse combo, don’t you think? Paris Fashion week is love! There are so many outfits and styles to be inspired at. Next Fashion Week to be posted is the Philippine Fashion Week! I’m so excited. I wonder what’s new in my country’s runway Scene. haha! Anyway, it’s an hour past midnight here. Gotta have some sleep.